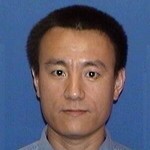 Guang Li received the Ph.D. degree in 2007 from the University of Washington, Seattle. He received the B.E. degree in electrical engineering from Tianjin University in 1996. Currently, he is a senior market support analyst at the Electric Reliability Council of Texas (ERCOT). His research interests include power system economics and power system stability, primarily electricity market design, reliability unit commitment, market clearing formulation and optimization, electricity price modeling, dynamic security assessment, contingency ranking and screening, transient stability control, wide area monitoring systems and intelligent system applications to power systems. He also specializes in computational modeling using partial differential equations.